Actually platforms three and four get used almost every day! 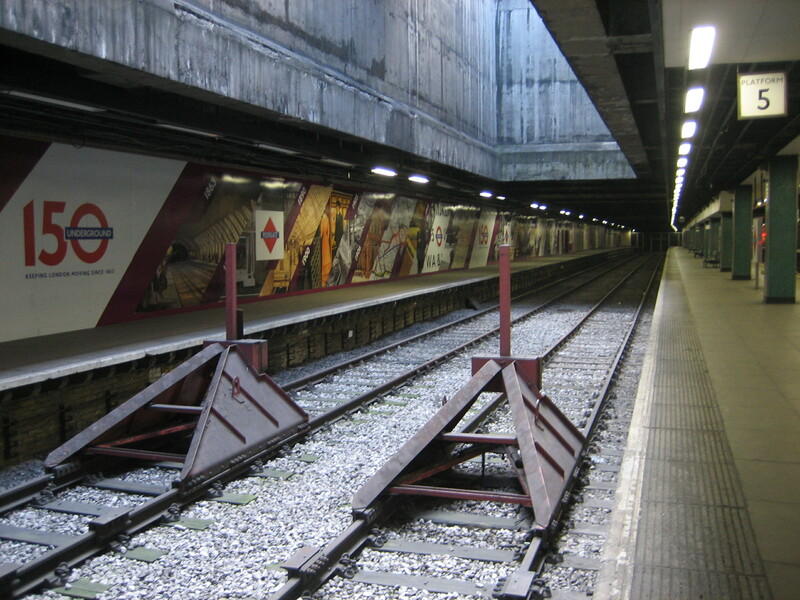 They are often used when trains need to be terminated early and there are a couple of scheduled uses. The diamonds are, of course, a recent edition, installed for the 150 celebrations. They give a mysterious feel to the station though. Thanks for the clarification, Andrew. I wasn’t sure how many trains actually used platforms three and four. If they do get used that often, it’d help explain why they look relatively clean and tidy! The hole in the ceiling above the platforms is to let out the smoke of the original steam trains that terminated at the station. Interesting. 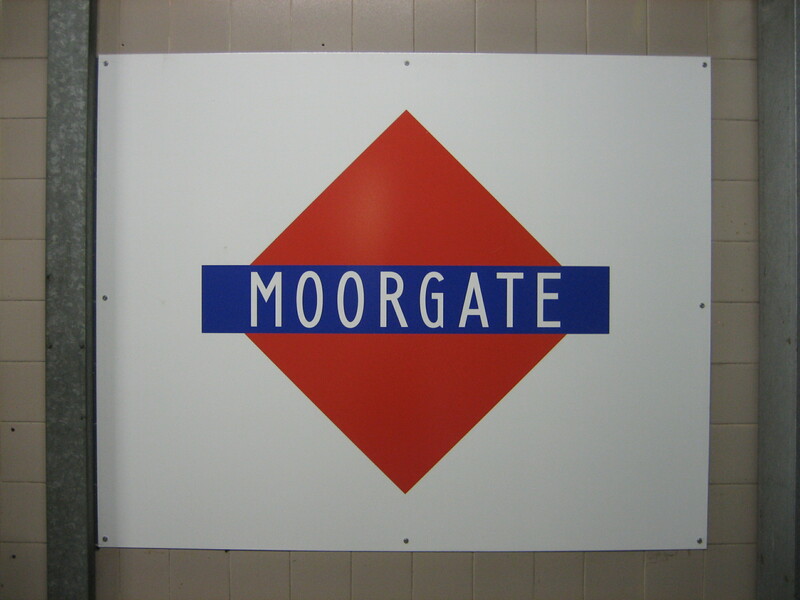 I pass through Moorgate twice a day and have never seen platform 4 in use. Something to look out for, I guess. I rather like the old-timey “diamondels” as a change of scenery if nothing else, and also wonder whether they’ll last beyond the end of the year. They use platform 3 more, but you’ll sometimes see 4 in use. Indeed I’ve seen trains terminate on 4 when 3 has been empty! Never understood why. On rare occassions I’ve been there and found both full. But most of the time they’re deserted – very eerie when coupled with the empty 5 and 6. 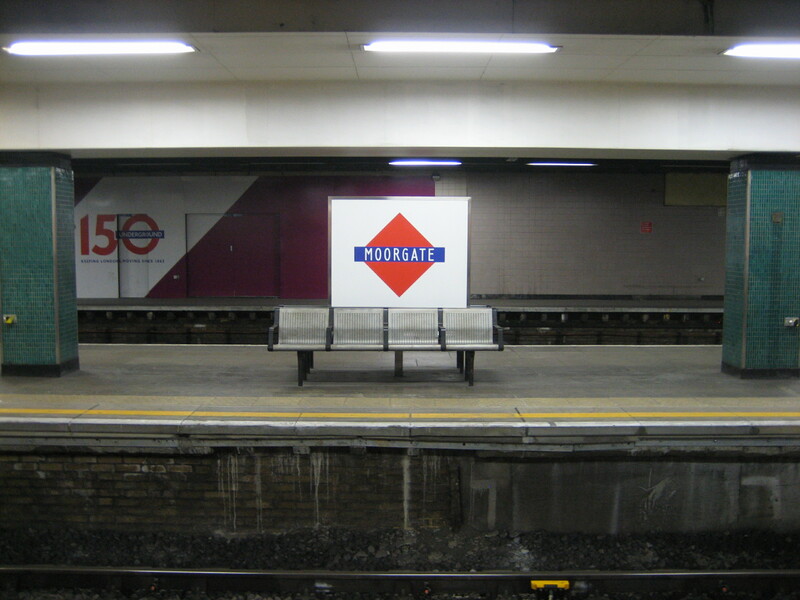 The diamond station signs go back to the days of when the Metropolitan Railway and the District Railway were private operations. The diamond was the Metropolitan’s and the bullseye (or roundel as they’re called now. It became the network symbol when the rail companies were amalgamated and then the final bullseye with red, white and blue with nationalisation and London Transport.) was the District’s. 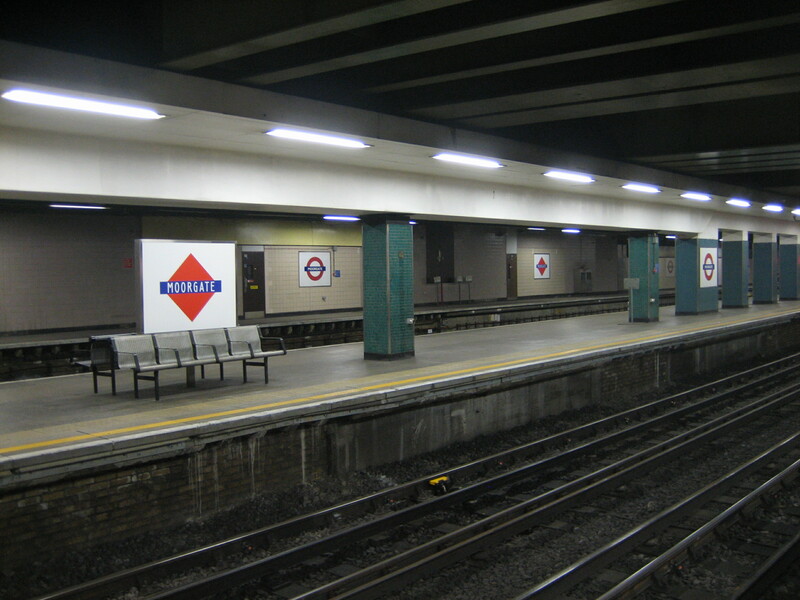 Because both companies shared responsibility for what became the Circle Line, which was then called the Inner Circle, it helped you to know who’s station you were starting from or ending. It also gave you an idea of how much your fare would be, if you started from one company’s station in the Inner Circle to the other’s out of it, or vice-versa.